Saying goodbye to your child as they leave for college can be a very bittersweet experience. As a parent, you want to make sure that they have all the tools they need to succeed, as you won’t be able to care for them like you typically do. These are four ways you can help your college-bound child live successfully on their own. People who avoid doing their own laundry seem to think it’s some kind of impossible task. While it takes a bit of practice, it only requires keeping a few things in mind. You should teach your child how to do laundry before they leave for college. They should know how to sort their clothes, how much detergent to use, and about cleaning the lint screen in the dryer. If your child is going to a university far from home or with limited public transportation, you need to find them the right car. It should be one that’s safe, reliable, and affordable. If they have money from graduation or a part-time job, they should be financing it at least partially. You can save money by purchasing a trustworthy used car. For instance, you can look for pre-owned Fords for sale. If your child knows how to keep a car in shape, they can show just how responsible they are. You don’t need to be a five-star chef to benefit from cooking. 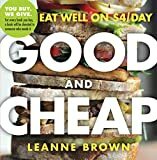 Making meals can help save money and make you healthier. Plus, it can also help your child attract potential romantic partners. Simple recipes that you can teach include pasta, pot roast, and stir-fry. However, you may want to give them a good recipe book. That way, they can continue building on the culinary skills you will have taught them. Going to college is an ideal time to learn how to start paying bills. It’s also a good time to build credit. You should teach your child all about how to be responsible with their money. A credit card can be a good thing to have, provided they know how to use it responsibly. They should pay off the balance in full every month and not spend more than they’re able to pay back. College is a rite of passage into adulthood. Too many students start college without proper preparation and end up feeling lost when it comes to living on their own. You can help make sure your child is able to handle their time in college and start their independence off on the right track. There will still be growing pains, no doubt, but your child will thank you for empowering them with essential skills and knowledge about living in the real world. 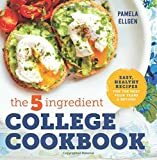 The College Man's Cookbook: 100 easy recipes to prepare on a budget, in tiny kitchens, with dull knives, microwaves and distractions while earning a degree!